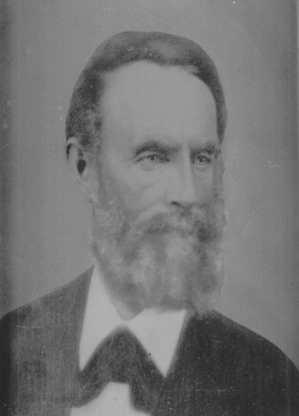 Captain John A. Ritter, M.D. Courtesy of Gerald W. Ritter, Ph.D. The letters which appear below are part of a set of letters written by or on the behalf Capt. John A. Ritter during his service in the 49th Indiana Volunteers in the Civil War. The letters on this page cover the period from September 1862 to September 1863. The letters were transcribed from the original letters or copies of the original letters in the possession of descendents of Capt. John A. Ritter. The letters appear exactly as written. No effort was made to correct apparent misspelled words. Many of these apparent errors may be the result of differences between modern styles of handwriting and styles in use during the 19th century. Blanks were inserted where words or phrases were totally illegible and underlining was used for words or phrases for which the correct interpretation was questionable. Dear wife it is with more than ordinary pleasure that I take the present opportunity to write to you. I am still on the land among the living in tolerable good heath verry much fatigued nearly worn out but have been _____ for the last 26 hours. The 49 Ind & 114 Ohio left Perkins plantation on the Mis River on the 25 of April was out 5 day had two Fights built 4 Bridges and arrived at Hard times Landing three miles above Grand Gulf at 8 AM. The gun boats comensed bombarding Grand Gulf at 9 AM & continued 5 hours without any intermisson. I was on a Transport where I could see it all all the guns was _______ but three. The infantry was on th transports ready to land as soon as the guns could be Silanced but the gun Boats halted of at 2 PM. The Infantry landed at the same place where they embarked marched by land to a point below Grand Gulf. The transports run _____. The Reb _____ at night. Early on the morning of the 30 we embarked on gun boats. Transports steamed down the River to Bayou Peer landed took up the line of march toward Port Gibson Mis. We marched all day & all night. About 12 at night the Rebs attacked us with Artilery we soon opened on them with Artilery which was kept up till 3 o clock AM. When the Rebs advanced in nearly day when we were halted and allowed to rest one hour we started and at 6 AM we were in a general engagement with the Rebbels this the 1st day of May will be a day long remembered by many as one of the hardest fought battles of this war. The Rebs fought with desperation but they were met by the same kind of mettle. The 49th Brought on the engagement & for one hour 10 minutes held the rebbles in check. They fought the 31st Alabama Reg. Prisners say that at Roll call after the action there was but 7 to answer to their names. The 49 was relieved by the 42 Ohio Reg & Reg after Reg was relieved whilst the Reg ingaged was resting. Thus the fight continued till near sun down. When the 49 Ind 114 Ohio was orderd to charge which was done most galantly the Rebs broking & Running in every diection perfectly Routed the 6 Missouri the Brag Reg of the south was drawn up to meet the 49 but they could not stand. Gen Osterhaus say that it was the most galant charge he ever saw. After the Rebs were ______ he almost lifted Col Keigwin of of the gorund. All of our men vehaved well. The 42 Ohio that took the place of the 49 sufferd very severly and the mistery of the whole matter was why the 49 lost so few men. There was a Reb Battery playing on them the wholl time & the infantry pouring in as they thought a ____ fire. The prisners say that they thought that they had Killed nearly all of the first Reg that attacked them but we had but 14 men wounded 1 Killed. This one Killed was detail with a battery. This is our list of Killed & wounded 1 Killed not a ____ ____ of Co G Liut Thos B Buskirk flesh wound in neck Capt Joseph Duncan slight on Rist not stopt form duty corp Andrew Walker flesh wound face private Jno W Simmons spent Bull chest we have taken a large lot of prinses perhaps 1000 ____ Rebs ____ 13 guns. I do not Know the amount of them Killed & wounded but it was verry heavy. Our forces have posesion Grand Gulf with a large lot of Artilery. Our gun boats are up Black River. Our forces have advanced to warn Black River to the rear of Vicksburg. It is the general opinion that Vicksburg will be evacuated. The Boy are generaly well some sick back at the Hospital. I have got this letter in a great hurry. The 24, 69, 8, 18, 46, 47, 48, 49 Indana Reg were in the ingagement. It is sayed that the 24 was cut up considrable so was the 49 & 15. I got a Letter from T P Carter. I will answer it as soon as I can. I have been on duty constantly since the 25 April. I dont think that I ever was as tired in my life as I was on the night of the 1st of May 1863. I expect to come home a soon as I can if they let me. I hope and think they will but the 49 gained a reptuation in the Battle that might be envey by any troops so did its sugeons. We are in an enemys country and we are living of of the country. I was at _____ Braxton son of ____ Braxton of Paoli. He & family are well. He wished me to so informe his ____ family that he had not herd from them for two ____. He had not been in the service. One of S. Millicans Boy is in the army. I shall have to close. I think that none of the wounded of the 49 will die from their wounds. (margin, page 2) in the charge on the 49th did not have a man _______ though a ______ was in ____ ____ _____ a _____ at them the Rebs shot too low it struck the ground. (margin, page 3) the Battle was fought 8 miles from Port Gibson on the ____ road at Shapes plantation. At a time like this I Know you are anxious to heare from me and I shall improve every opportunity to write to you. I do not Know how or when I shall have an opportunity to send this to you but I shall write a few lines and have it ready. We are at this time 13 miles from Vicksburg. The Infantry are not ingaged. It generaly supposed that they have not much to eat in the city. It is supposed the commander of Vicksburg sent out a dispach to Johnston that if he not reinforced in two or three days that he would have to surrender. The barrer of this dispach was captured so the report goes. Wheather this is true or not I can't say. The rebs tryed to cut their way out but were compelled to fall back in their works. We are out at Black River to cut off any reinforcement. We have done some hard fighting since we landed on the Mississipi soil. We have the pleasure (though mixt with pain) to know that we have defeated them at every point. They have fallen back to Vicksburg, the Last ditch, and to all human appearance we will get them at that point. We find more men here dissatisfied with the war than any other place that I have been. More conscripts, more that do not want to be exchanged, that want to go north. The Rebs as reported by the caveralry that two Reg. of Infantry came over and gave themselves up as prisners. They report that they are suffering for water as the gun boats Keep them from going to the river. They have sent over several Flags of truce for permision to burry their dead which was granted. Some of the party did not return perfiring to stay in our lines. I have no doubt but that the revs will try to cut their way out or that they will try to reinforce them. In either case there will be a sevear fight. We have them surrounded and and will try hard to take what is left of them. There are various reports as to the amount of their forces. If we succeed as well in the future as we have in the past, we will have destroyed the army of the Mis. I have been for the last two day erecting a Hospital at a Episcopalian Church, a verry neat church. During the leasure time that have had, I have been spending it with a couple of Sesesh Ladys. The most bitter, rabid of any that I ever met. There wer originaly as I understand form Maine. The down Easters that have imigrated here as a general rule are the most rabid Sesesh, but I met with an honorable exception. An old gentleman by the name of Sweet, a hardware merchant of Vicksburg formily a Connecticut man. We had our hospital at his country house. While we found him a firm southern man with it we found in him a perfect gentleman. His son in Law had been an officer in the Reb army had been wounded was at home. The whole family treated us as Kind as they could, renderd all the assistance in their power to the wounded. I love to meet a true hearted man or woman any wheare but when these down Easters southern Aristocracy is a little the lowes of all gods creation being that they seame to have but little of the milk of human Kindness. The Air that they breath seames to be offensive & some of those coyotes call call of god to assist them in their Diabolical purposes. There is a marked difference betwene them and the true southern man. With rare exception there is none of this codfish Atistocracy. I gave the ladys referd to a few practible Lessons but I fear that they will not profit much by it. William Z. Smith was back to Champion Hill, the Battle ground of the 16th. Meridth Charles is shot in the Knee, the joint fractured. His leg was not amputated it will likly Kill him. Dr. Williamson will likly die from his wound. The ball penetrated the Lungs. Hovey lost a great many men in that fight. He has neare 600 wounded. Our Killed, wounded, and missing since we crost the River in the 9th Division (Osterhaus) (consisting of 14 Reg. I believe) amounts to less than 300. Hovey done some as hard as history records. We had as hard a fight at the same time but it did not last so long. I had to quit writing and hold up my tent to Keep it from blowing over. We have just had a shower which makes the air much more pleasant. I sent you $600.00 some time ago. I have not herd wheather it got to you or not. We have our caveralry on the other side of Black River. Champion Hill is 8 miles from Black river. We had a fight on the 16 at Champion Hill & on the 17 at Black River Bridge. The Bridge a cross Black river is a Rail Road an Trussell nearly 40 feet high for a distance of two miles or more. The Rebs run across this bridge or a part of it tht spand the stream which is narrow. They also had a Steam Boat with a plank extending from the Boat to the bank making a pontoon Bridge. They set the Bridge & Boat on fire together six steam Boats. The River is full of the reck of the old boats. The fire consumed some 500 yds of the trusel work. This was their own work. It saved us of the trouble or at least I expect that old U. S. Grant would have burned it. He has orderd the rail road as fare as they can and to bring in all the cotton that they can & to burn the balance. I have not herd of Tom Buskirk since a few day after he was wounded. I do not Know where he is. I expect that he is at James plantation about 25 miles below Vicksburg. I am anxious about him. I expect that he has writen home. I have not herd of any of our wounded form Thompsons Hill that were wounded on the 1st of May. These were nont of our Reg. verry seriously injured. I will close for the present. If I do not get an opportunity to send this of I will add to it. I have lost my horse which I expect will be a deare loss to me. I was verry much attached to my horse. I regret the Loss. I have got acquainted with several Reb Sarg., some of them verry clever fellows, some that are not. I am well. I have nothing of importance to write. I am in good health at present. We came to this place on the 24 day of May to prevent any reinforcement getting in to Vicksburg. We are as an out post pickett. I do not think that there are any considerable force coming up in our rear. We are 13 miles from Vicksburg, 12 miles from Champion Hill, at the Bridge on Big _______ Black is the place that we fought on the 17 May. We have distroyed all the Bridges on the road from here to Jackson. Our caveralry are encampt at this place and patroll the country for a distance of 12 miles every day. No enemy has been nearer to us than the Hospitals at champion hill. They Sliped in and payrolled all our wounded & nurses at the hospitals at Raymon, Jackson, & champion hill. There were none of our division at Jackson or Raymon. They were not in these fights. The Rebs acted verry badly to our men at Raymond. They took all that they had to eat, took the blankets of the Sick and wounded. They had of their confederate Soldier wounded also at Raymond. They took all that they had to eat as well as our men. Poor D_____ I think they must have been hungry. They also took money from some of our wounded, watches etc. They took the surgeon's horses that were left with them. The Rebs at champions hill were a different sort of fellows. They were as hard down on the men at at Raymon as our men were. It is prety generaly understood that the Rebs at Raymond were home guards, citizens of Miss. The rebs that came in to champion hill were Kentuckians. They told our Boys that they felt like they were not doing a verry Brave act to charge on a hospital, but they would have to do it. I think that they have one division in our rear between this place and Jackson. That is all the troops that we can heare of. That was a division that got cut off at champion hill & marched about 65 miles to get out of our way. We did not Know that they were cut off till they got out of our reach or we would have captured all of them and I presume that they have gathered up all the stragles they could of the defeated & Retreating army but it will be usless for them to bring up such soldiers to the rear of Vicksburg to rais the seige and futher if they attempt Such a thing they will have to have a powerful army more than I think they can raise. The 49th Killed a general at Thompsons hill, Gen. Stacy of Alabama. Gen. Tillman, Reb, was Killed at Champion hill. We have lost but few officers. One Col. is all the field officers that I Know of. He belonged to the 83 Ohio I believe. I have forgotten his name. I recollect the man well. The day of the Battle at Thompsons hill I herd him caution his Reg. not to shute any of the boys that wore blue cloths, but to give it to the gray backs. He was Killed at Raymond on the 12. In our Brigade we have lost two Capts Killed--Capt Olds, 42nd Ohio, May 1st, Capt Wilson 7 Ky. May 16. I was intimally acquainted Capt. Wilson. He had his Leg shot off clost to the Body by a canon ball. He was a brave good man. He met his fate calm, cool. He died in a few hours after Receiving his wound. I was trying to do something for him. He told me that it was not worth while to do any thing for him for I as good as dead, I shall die in a few moments. He called the sarg of his Reg., gave him his pocket book, gave some directions about his affairs, sent some word to his wife, and died. Poor fellow. We were together at Cumberland Gap and have been verry intimate. I have also had a slight acquaintance with his wife, poor woman. I understand that Jack Keynan has been wounded. He is not with Reg. He is with Pioneers Corps. I understand that his Arme has been Amputated at the elbow. If so, poor Jack, he is done soldiering and a better soldier than Jack never shoulders a muskett. I have been attending an old Gentleman by the name of Townsen who was shot by one of his own negros. He is at his sons near our camp. His son and family are verry agreeable. I have never met a nicer gentleman or a finer Lady than Mr. and Mrs. Townsen. If all the people were like them that reside in the south there would be no war. They are of the true southern stripe. I never have been treated Kinder by any one. I often get out among the people. They are generaly cortius & Kind but many of them, if they had the power, they would act different. Dr. Thomas Has sent in his Resignation. He is in verry bad health. He will start home in a few days. Also, Capt. McConehay is wound and has asked to leave to come home till. I will send some things home by him if he goes which I think he will. I have $80.00 dollars of John Carters that I will send, also a Ring & some other littletraps. I think that it will not be long till Vicksburg will be in our posesion. The Boys say they are still debating the question. The arguments are quite formable. At least they make a great deal of noise. The roar of the Cannon is a familiar sound. Hope you are well. (margin, page 4) The dead horses that float down the River average 16 per hour. They are killed in side the fortifications are are thrown into the river to get clere of the stench.